A recent installation of a sectional garage doors Kendal, Cumbria. 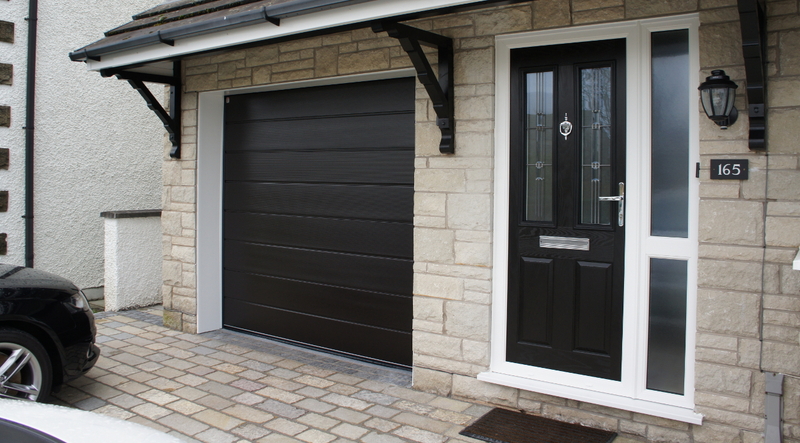 We require a new garage door for our property in Kendal. At present we have an up and over garage door which is fitted between the reveals which looses us quite a bit of height and width on the actual brickwork opening. The current door is also draughty and not particularly secure. 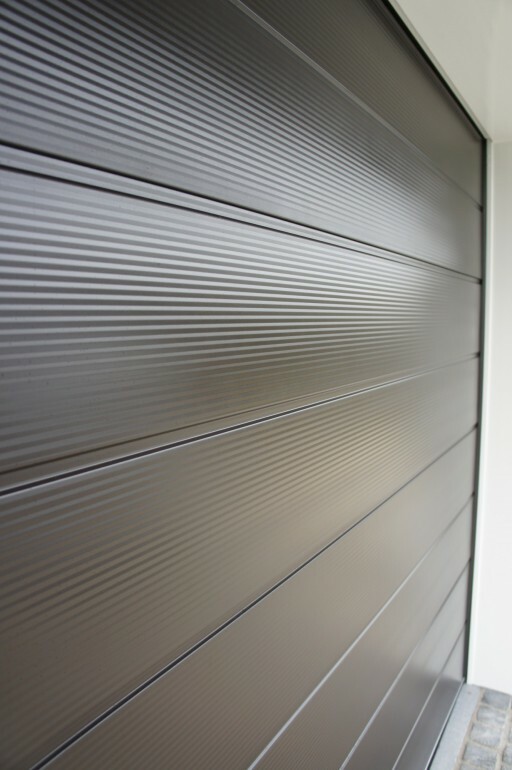 As the garage is an integral part of our property we are particularly interested in both insulation and security. We have looked at the possibility of a roller garage door but are concerned that this may have too much of an industrial look to it so would like some other options. The door should be automatic and we would like to be able to operate the door from outside the house and from multiple points inside the house. 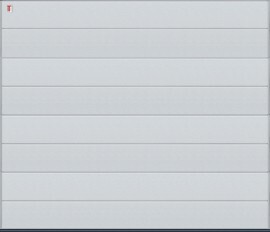 The obvious answer to the brief was a sectional garage door. 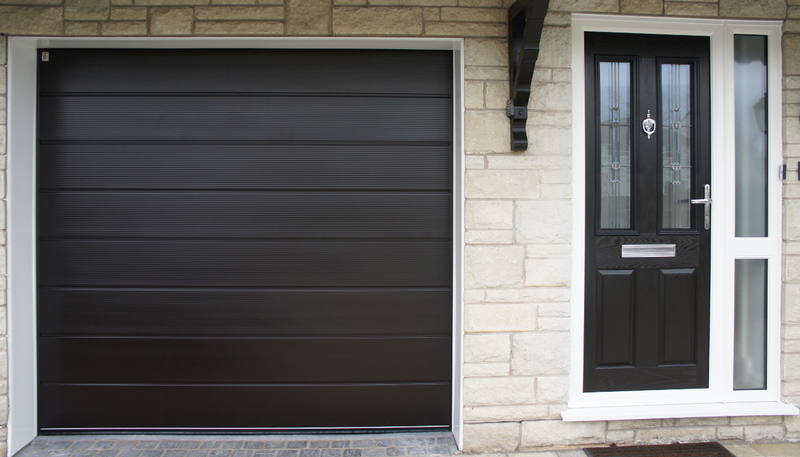 Sectional garage doors come in a range of styles, sizes, colours, and finishes they are well insulated and secure. After much deliberation in our garage door showroom in Garstang this particular customer chose the Teckentrup Carteck GSW40-L. 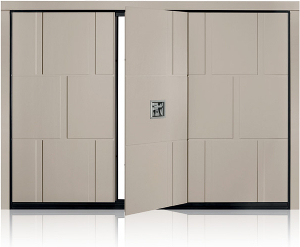 The German made GSW40-L is one of the very best sectional garage doors available. 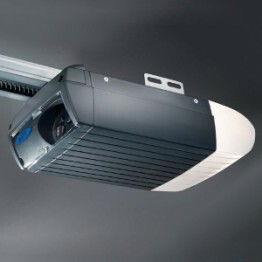 It has a double skin 40mm insulated panel with a foam core that gives a u-value as low as 1.5. It has also been through rigorous testing to be awarded the TUV Nord German security certificate. The style of the door selected was the Centre Rib style with a Micro-profile finish. The colour selected was RAL 8022 Black Brown which was specifically chosen to match in with the composite front entrance door. The door frame was kept white, again to match in with the front door. The electric operator used was the ultra reliable and powerful Novoferm Novomatic 553S complete with 3 handsets, wireless wall station and wireless keypad. A WeatherStop floor seal was also installed to help prevent unwanted water entering the garage. In order to maximise the size of the brickwork opening the new sectional garage doors was installed behind the reveals, this gave an increase on both clear opening width and height. This does however expose the inner skin of the garage made from Thermolite block. To hide the Thermolite and protect it from frost damage we covered it with a PVCu utility board.